In this blog we will talk about what to do with your furry friend during big family events. The most important thing is safety. The doors will be opening and closing as you welcome in your family and friends but this is also an opportunity for your furry friend to run out the door. Pick a spot in the house that is away from the entrance, most preferably a room, and place a crate or a bed. If you do place a crate make it as comfy as possible. 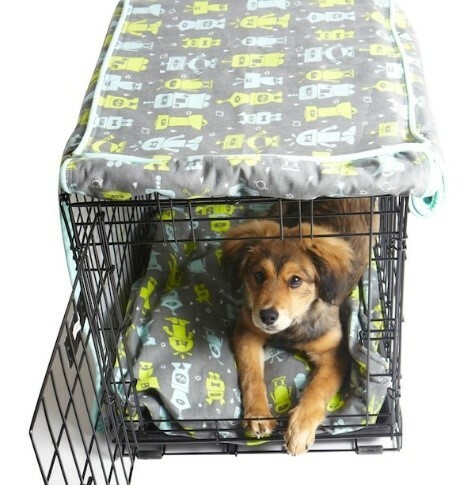 Put a blanket over it to make it more private for your dog. 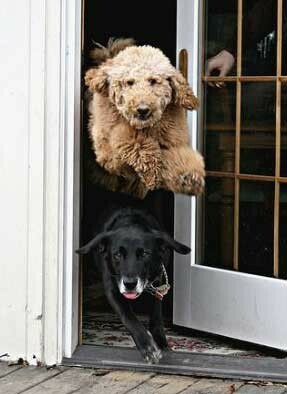 This will secure that your dog does not bolt out the door as your greet your guest. If you do want your pets present in the festivities have them tethered so they don’t bolt out the door as it also minimizes any risk of injuries; we don’t want our happy pups tumbling people down by accident. You can also set up a baby gate to block them from reaching the opened door. We also recommend giving your pet breaks throughout the holiday gatherings. They may love to socialize but there will be a point where they just want to nap and take a break. This is where that comfort spot comes in again. You can place them in their comfort spot so they can rest and recharge. Dogs know their family but they might get a little shy around new family or friends they have never seen. To help with introducing your dog to family or friends they have never seen have a bowl of treats in the entrance on the door. Have people grab one treat and ask for a simple sit and treat your pet. This will create a positive association with new people and will also reinforce proper greetings. No one knows your dog better than you do, so if they are noise sensitive give each guest a heads up so they can approach your puppy in a quiet and calm way. Always know what makes your dog uncomfortable. Any sudden movements from a person can spook your pooch, kids screaming, high pitch hello’s, loud clattering, deep voices, tall people, it can be anything small or big. 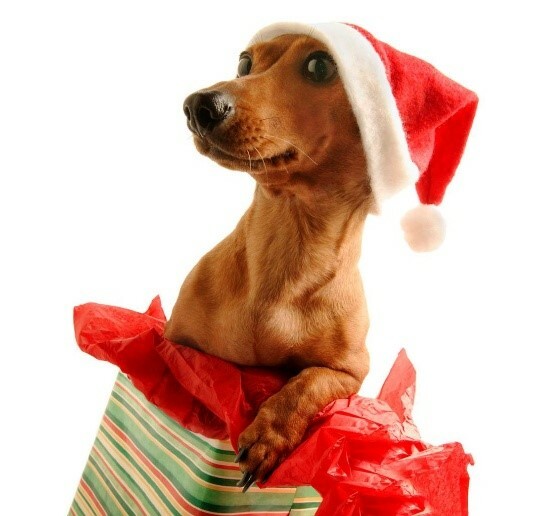 Giving your pet a break throughout the festivities will help them enjoy the day more. Have their first greeting with a new member a positive one and remember to have your pet in a safe, secure spot while your guest come in. 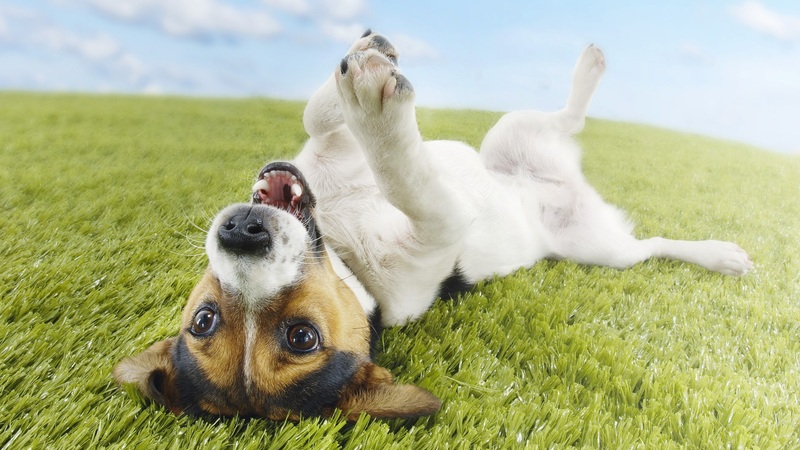 Micro-chipping and having the proper identifications is always highly recommended. We hope these tips help you during all the holidays throughout the year. Have a great holiday and a very happy new year!